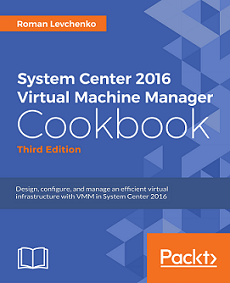 Creating a VM from virtual disk or existing virtual machine is a basic task in every VMM infrastructure. What if you want to assign IP from static pool instead of dynamic which is just the one option by default for such deployments? Well,doing this in wizard, will end by receiving a warning:“You cannot customize IP settings for a stored virtual machine or a virtual hard disk. You can only customize IP settings if you use a VM template” and static IP pool will be grayed out.